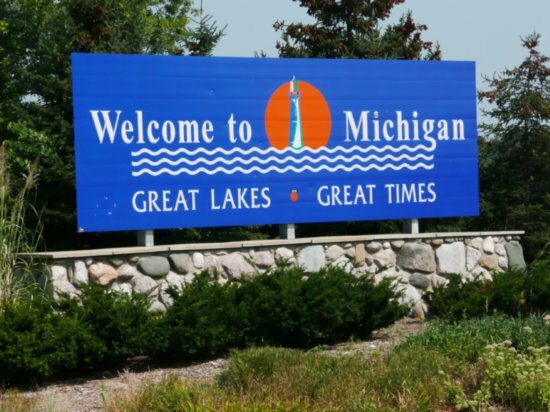 If you are moving to the Metro Detroit area, it does not matter if it is a Brighton home in Livingston County, or Bloomfield Hills in Oakland County or a Lake house on Cass Lake in Keego Harbor MI Michigan property taxes work the same in most Detroit suburbs. To many home buyers Michigan property taxes can be confusing if they are new to the state or not. There are three confusing parts about our tax system. “Your homestead is the place where you have your permanent home. It is the place to which you plan to return whenever you go away. You must be the owner and occupant or be contracted to pay rent and occupy the dwelling. You can only have one homestead at a time. Cottages, second homes and property you own and rent/lease to others does not qualify as a homestead. College dormitories do not qualify as homesteads”. When you look at home listings on line or on the listings your agent sends you will notice that it will say homestead or non homestead. The homestead form that you take to the city after the closing will change the non homesteaded house to homesteaded. The city does this at two times of the year. So f you buy a non homesteaded house you may pay the higher rate of non homesteaded taxes for a few months. Yes it is a little bit of money extra you are paying but I would not change your decision not to buy a home because it was non homesteaded. (Unless of course the non homesteaded taxes are outrageous). The second confusing part of our Michigan property taxes is our summer and winter tax bills. Every buyer thinks at first that the summer taxes cover a six month period and the winter covers the next six month period. That is not true. Our summer tax bills come out on July 1 and you have until September 14th to pay the bill without interest accruing. This summer tax bill cover the school taxes and a few other taxes from July 1 until June 30th of next year. Then you will have the winter tax bills coming out on December 1 and you have until February 14th to pay the bill without interest accruing. The winter tax bill covers from December 1st until November 30th of the following year. So remember Winter and Summer taxes in Michigan are not 6 month taxes. They are taxes that cover a year period. So if you buy a home in November the summer taxes will be paid until the end of June the next year. But the winter taxes only cover until November 30th. You will have a winter tax bill to due December 1st, but at least you have until February 14th to pay it. It is the same way if you buy a home in March. The winter taxes will be paid until November 30th, but you will have a summer tax bill on July 1st. At least the summer taxes would be paid from March to June 30th. I hope this explains the second confusing part of homestead and non homestead Michigan property taxes. I want to talk about closing and Michigan property taxes to finish out this article. Our Michigan taxes are paid ahead. So the winter taxes go from December 1st to November 30th of next year.. When you close on a home the title company will prorate the taxes to the day of closing. What does that mean? The title company will take the winter tax bill and divide it by 365 days in the years. They will do the same with the summer tax bill. Now they know what the daily figure is for both your winter and summer bill. They then prorate the taxes. They figure out how many days the seller has lived in the property and charge them that much for the taxes. Then they figure out how many days is left and have the buyer pay the seller back the unused portion of the taxes they have not used. So let’s say the Michigan property taxes for the summer are 2400 and the winter taxes are 1200. I am going to make it simple. Lets say we close on August 1st. So lets start with the summer taxes. I did it in whole months so we could divide by 12 instead of 365. So the seller used one month of summer taxes and the buyer owes the seller 11 months of summer taxes that they will be in the house. The seller has used 8 months of winter taxes so the buy owes the seller the four remaining months of taxes that they are going to use. The reason they prorate the taxes is because why should the seller lose money and pay the taxes when the buyer is going to be living their. If you are moving to Detroit or maybe a first time home buyer I hope this explains Michigan property taxes a little bit better. If you are Moving to Oakland County and need some more information. If you would like a lake house in Oakland County or a lake house on Chain of Lakes in Hamburg MI you can search for them on my websites. If you are looking for a good realtor to help you find a home give me a call on my cell phone (248) 310-6239. Join my VIP email home search and get the latest homes emailed to you so you don’t miss out on the best home deals. Remember we offer a great buyers perk too! Whew made it another year!